Africa probably has plenty of oil and gas business opportunities - but working out where they are, what they are, is another matter. It is now abundantly clear that oil & gas companies are slashing their Exploration spend, not just for 2016 but probably into 2017 and 2018 as well. 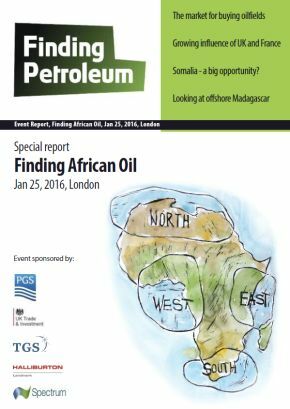 So a good question is - are there any African exploration "sweet spots" which stand out even with oil prices at $30/barrel. Should we all be thinking of "Exploring on the FTSE" (aka "Drilling on Wall Street") on the basis that it is possible to buy discovered barrels (and gas molecules) - indeed whole companies that have made such discoveries - at significantly lower prices than it takes to explore for them? During our annual "Finding African Oil" conference in London in January we'll be attempting to answer these questions - or at least help you grow your expertise. This event is designed for explorers and business developers (and M&A folk!) - as well as service company business development staff - who would like to develop their knowledge of what's on offer and what's happening, and to see opportunities. In 2014 PGS in conjunction with Petroci and the DGH, acquired and processed over 2,200 sq. km of 3D GeoStreamer® data over CI-506 and CI-507 - two open blocks offshore Côte d’Ivoire. The western margin of Côte d’Ivoire remains frontier; however a working hydrocarbon system is supported by a number of significant discoveries nearby, including Saphir (Total, block CI-514) and Morue (Anadarko, block CI-516). In order to better understand the geology and hydrocarbon potential of blocks CI-506 and CI-507, PGS completed a major study of the data incorporating both geological and Quantitative Interpretation (QI). Results from the study display multiple DHIs (Direct Hydrocarbon Indicators) supported by low Relative Acoustic and Relative Vp/Vs volumes, subsequent cross-plots and AVO studies. The geological and QI projects completed on the CI-506 and CI-507 dataset have significantly de-risked the petroleum system in this area. With additional wells drilled next year, the western margin of the offshore Côte d’Ivoire is set to have an exciting future for exploration. TGS have recently completed a full geological and geophysical evaluation of the hydrocarbon prospectivity of the entire offshore western margin of Madagascar; from Cap d’Ambre in the north to Cap St. Marie in the south. The study was based upon the interpretation of nearly 50,000 km of multi-client 2D seismic, potential field data and existing well data. As a result the integrated prospectivity of all the offshore sedimentary basins can be understood for the first time and new frontier exploration targets and plays are revealed. With only 11 wells drilled offshore, and none in water depths greater than 50 m, offshore Madagascar has enormous untested potential in addition to the well-known onshore heavy oil play. A tour of these offshore basins will show the different structural and sedimentary settings that the complex tectonic history of Madagascar has produced. Ben has an MSc in Petroleum Geoscience from Royal Holloway and a BSc in Geography & GIS from University of Greenwich; previously employed for a Moroccan-based operator Ben now works for TGS and is based in their London office.